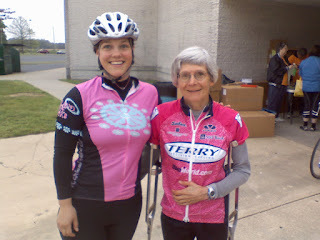 Ride a bike: Me with Georgina Terry of Terry Cycles! Me with Georgina Terry of Terry Cycles! OMG! You found someone you're taller than! I am taller than both Ms. Terry and Mr. Schloss, thankyouverymuch. And no one is older than you Gerri, c'mon.